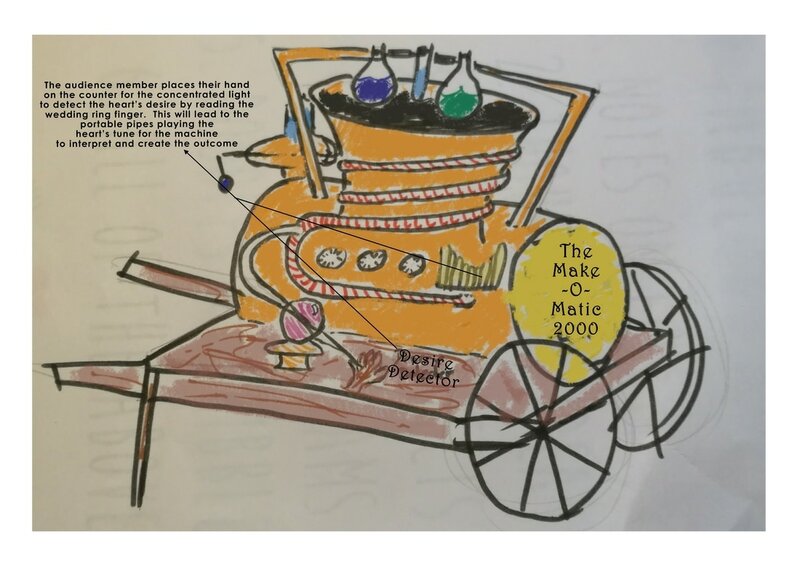 Below are some very early ideas about how The Make-O-Matic 2000 could look like (from both sides of the cart) this will accompany the performers throughout the performances and contain all that is needed including light and sound for the performance and promenade pieces. Below are some images of our past productions which demonstrates our work in promenade and the more traditional theatre space. 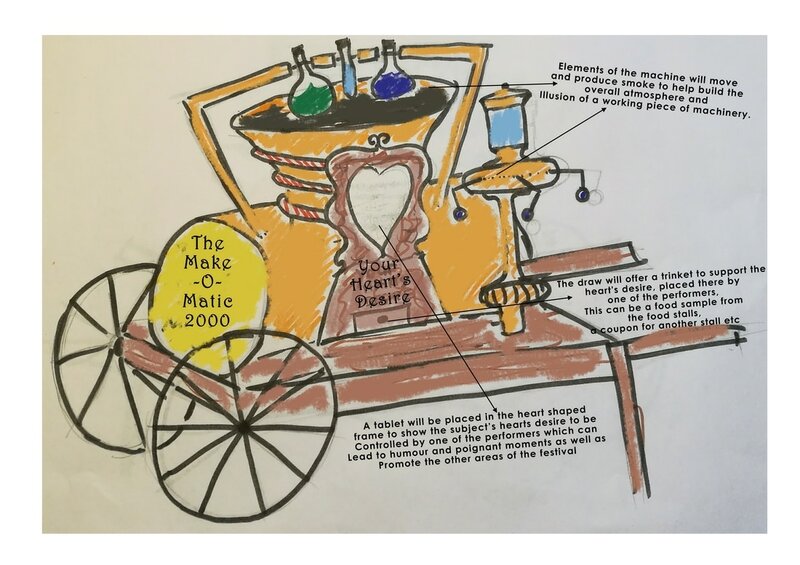 These are some chosen images which have been shared with Splinter Scenery to demonstrate the level of quality and style we wish to achieve with our production.